In these times it behooves us to celebrate life and to give thanks for every moment of existence. We rejoice in your limitless capacity for renewal. Here you are, manifesting as family farmers. Read their body language and come away with the certainty that you will heal this American earth. For orders over $100, we are offering a bonus of one pound of Medjool Dates. This is in addition to our Alive Bonus Program of Heritage Olive Oil and dates. Rejoice with your Medjool Dates. A treasure created by California family farmers. Just right for hiking, backpacking and school lunches! Spicy, citrusy, and creamy, Peruvian cuisine is known for it’s fresh seafood dishes, with hints of lime and chili! This vegan version is a super light and healthy, with a spicy kick that will really wake you up! 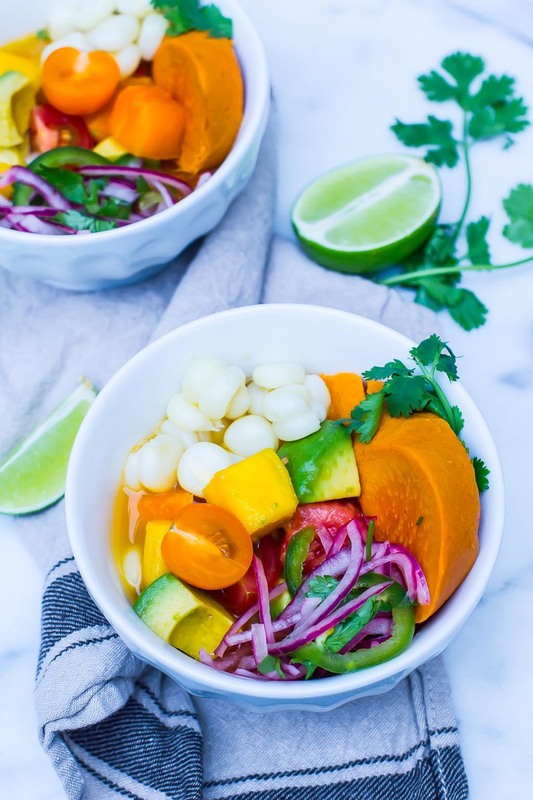 Raw Vegan ceviche is so refreshing and easy to eat in the summer! It will wake you up and cool you down. Our Living Tree Alive, Organic Sweet Almond Oil is made from California almonds grown by family farmers. Not only is it a magnificent salad dressing, but it is a sensuous and aromatic massage oil. Imagine! A salad dressing from Living Tree Almond Oil, Black Sesame Oil and Olive Oil. Siberian pine nuts are quite different from the pine nuts you find in stores. They are wildcrafted in a pristine wilderness, the Siberian taiga. This is the most extensive virgin forest in the world. They are high in protein. We invite you to taste the primordial. Boreal Dulse Flake Energizing Mix – It’s Back! Starting with Dulse from the pristine waters of Iceland, we’re added pumpkin, sunflower, sesame and black sesame meal. We suggest sprinkling it on everything you eat. Pistachio Pesto – Alive & Organic – It’s Back! All the ingredients came together for your happiness: alive pistachios grown by family farmers in the rich, alluvial soil of California’s great Central Valley, sun-dried black olives and sun-dried tomatoes, sesame, apple cider vinegar, aromatic spices (cayenne, garlic, cumin, curry powder) and herbs (basil, thyme, rosemary) and sea salt, all blended with Living Tree Alive Olive Oil- unfiltered, unheated, UNPRESSED. Unheated, unfiltered, cold pressed from American grown sunflower seeds. One of the primary reasons for the growing popularity of sunflower oil is its impressive fatty acid content, which includes palmitic acid, stearic acid, oleic acid, and linoleic acid. Fatty acids are extremely important in maintaining health. We have combined creamy cashews and buttery macadamias to make you ecstatic. We’ve added a touch of our Call of the Wild Honey and a pinch of Royal Himalayan Pink Crystal Salt. Try it on a slice of apple! It is our delight to offer this Hawaiian treasure gathered from macadamia blossoms. Profoundly rich, thick and satisfying. To some inspired tastes, its flavor is redolent of macadamia nuts. Gathered by family farmers deeply committed to sustainable and regenerative agriculture in a pristine, remote locale on the Big Island of Hawaii. Magnificent, large Medjool dates. Pack them along when traveling or hiking. Its easy to remove the pits and use for a wealth of culinary applications. Great addition to school lunches. What a wonderful gift idea! A farming family in southern California grows these majestic dates. You’ll be pleased with their quality. Mango Cheeks – The New Crop Has Arrived! Just the thing for hiking and camping. Very sweet, moist and chewy. A delightful pumpkin seed spread made from pumpkin seeds grown by American family farmers. Very nourishing and energizing. A balanced source of good protein. Try it on fruit slices and on flax crackers. We have combined chia seeds with Oregon grown Blueberries, California cherries and Cranberries. We’ve also added Black Sesame Oil (more than 60% omega-3 fatty acid), honey and a dash of Royal Himalayan Pink Crystal Salt. Our rare, certified organic Kiawe Blossom Honey is gathered from an isolated Kiawe forest on the island of Hawaii. The deep tap roots of the Kiawe trees have reached an underground aquifer of fresh water that flows down from the volcanoes. This forest is in a desert and no other vegetation has tapped the aquifer, allowing the bees to collect Kiawe nectar of exceptional purity and quality. (Natural News) A report in the British Medical Journal illustrates how a woman has beaten blood cancer with the help of turmeric. In 2007, 67-year-old Dieneke Ferguson was diagnosed with myeloma and she progressed to stage three within 15 months. Three failed rounds of chemotherapy and four failed stem cell transplants later, doctors told her she had very little hope. She told the U.K.’s Daily Mail: “I have been on all sorts of toxic drugs and the side-effects were terrifying.” She once lost her memory for three days, and two vertebrae in her spine collapsed and had to be injected with a type of concrete for stability. 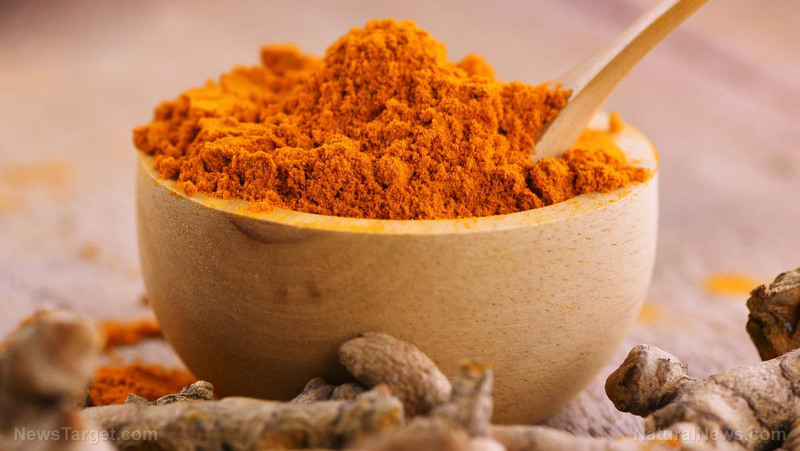 Four years after her initial diagnosis, she took matters into her own hands and started taking a daily dose of curcumin, the key component of turmeric. She took eight grams every evening on an empty stomach.